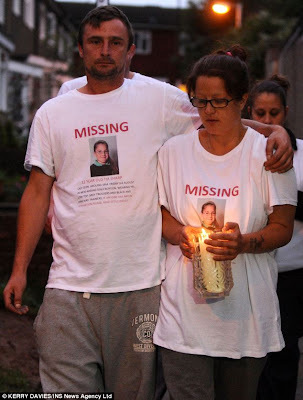 ON Friday August 10 it was announced that a body, presummed to be Tia's was found at the home of her Grandmother, and her partner Stuart Hazell. At this stage is it too early to do any kind of full analyses of this case, firstly it would be insensitive given that a young girl has been murdered, and secondly we only have what the press is telling us to try and work it out. We all make them, and the MS press are expert are pushing our "judgemental" buttons. Daily they feed us front pages of near perfect looking airbrushed people, then something like this hits the front pages and we see regular people, no airbrushing, no £10,000 smiles, no botoxed flawless complexion, it is not what we are used to seeing on the front page, and we make assumptions...and judgements. From day one near every press report reiterated daily, that Stuart had a relationship with Tia's Mum Natalie, and then ended up with her Mum Christine. Firstly we do not know if this is true, and it sounds to me like gossip, but if it is true, I think it is worth pointing out, Christine is 46, Natalie 31, which means that Christine was only 15 when Natalie was born, I personally know people who had children very young, and they end up more like sisters than Mother and daughter. Stuart is 37 which is mid way between the two ladies ages, so no big age gap between either him or Christine or Natalie. The press have of course reported this as if it was the crime of the century, and used it to try and influence all our perceptions of this family. 1: They are complete idiots who forgot their years of training, and instead of conducting a full forensic search of the property, they had a cup of tea and a quick shifty round the place. 2: THERE WAS NO BODY AT THE PROPERTY AT THIS TIME! WHICH ONE MAKES SENSE TO YOU? 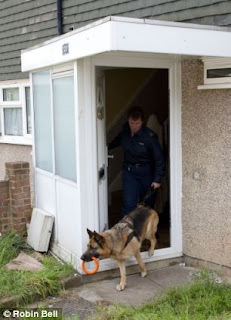 On Wednesday 8 August the home was again searched, this time with German Shepard dogs, which are specially trained to detect blood and decomposing bodies. Yet we are to believe that in this small house they could not detect the 5 day old corpse of a young girl! Search 1: Stuart Hazell stayed at the home with Tia’s closest family and ran nowhere. Search 2: Stuart Hazell stayed at the home and went nowhere. Search 3: he again remained at his home and went nowhere. By the Thursday the British Press had made him their chief suspect and were hounding him 24/7, his home was surrounded by press and he could go nowhere without being hounded. On Thursday evening he left the home, it was reported that he had went on the run, he had not went on the run, he had went to nearby Merton, most likely to escape the Press. His partner Christine was asked by press where he was, she said she did not know, this was then read to mean he had went on the run. Had Christine returned the question to them, and asked each one for an exact location of their partners, how many would have been able to say with certainty where their partners were? When arrested Stuart was at Cannon Hill Common, not hiding in some secluded spot, but out in the open, so their saying he was on the run, or in hiding is ridiculous! He was caught on CCTV camera buying a bottle of vodka, I think if I had been subject to the week he had just had I would have been buying a bottle of vodka as well! Every report mentioned that he had a drug conviction some years ago, evidently he has not been in any trouble with the law since or they would have reported it. On Thursday 9 August this interview with Stuart Hazell was released. His demeanour and body language suggest no wrong doing on his part. If the police are correct, and this man murdered Tia, then this whole interview Stuart is lying. The man conducting this interview is Criminologist Mark Williams-Thomas, Thomas spent some time with the family, and if he suspected any wrong doing he did not report it. This interview has now been pulled from all the media web sites that had it posted. "legal reasons" being cited as to why it has been pulled. Translated, Stuarts demeanour and words throughout this interview may suggest he is innocent of any wrong doing, and God forbid the public should see it. When someone is trying to recall something from the past, they often look to the left, this is just one of the give away body language signs that would indicate that this man is telling the truth in this interview. For me the most telling thing in this interview was what he said at 0.37. Last year I completed the Macmillan cancer care course, it was an intensive one year long course, and one module was about listening. Within the first hour of that module, we were all made painfully aware of how most of the times we are not actually listening to what people are saying to us. Example, your child comes home from school, you are thinking about what you are making for dinner and what all you have to get done that evening, your child is telling you about something that happened them at school, you nod and mimic listening, but actually you have not registered a word the child has said. We all do this, and we rarely even recognise that we are doing it. When Stuart was trying to recall exactly what all was said that morning, he says that Tia was talking but it was not registering with him. Why would he have made this up? Surely if he had murdered Tia he would have had days to concoct an alternative version of events, where he could easily have fabricated a conversation with the child, he did not, he openly admitted that she was talking but he was not listening. Given her subsequent disappearance, I am sure he is wrecked with guilt that he did not listen, and it must have been hard for him to admit he did not listen to her, he admitted it all the same. It seems very odd to me that he would make this up, in fact it seems quite incredulous to me that he would have made this up. I know it seems like a small point, it is an important one all the same. The following is an analyses of Stuart Hazell’s body language, this analyses is from a man who wishes to be known by the name “Figment”. Figment is not a body language expert and does not claim to be, however in the line of his work he is trained to read basic body language signals. He is also trained in the Martial Arts, anyone who has trained in the Martial Arts will know that reading body language is very much part of the training. He calls himself “An amateur analyst”. Everything Figment has said in this analysis can be independently checked on sites which detail body language signals. I have watched this from beginning to end, I am not an expert, but have a little exposure and understanding of body language. If you watch Hazell’s eyes, his eye movement is almost always to the left or up and left. This would typically denote recalling an event/accessing a memory that HAS occurred. There is an exception to this when he is talking about the time Chris came in, then he turns his head left and his eyes go right. Again this would typically indicate that he is accessing a memory of a sound and working it out on a logical level. He maintains a good level of eye contact with the others in the room which is open and not forced as his jaw is not strained. Bearing in mind the context and content of the interview, he does look down a number of times but this is not with his eyes it is with his head and shoulders. To me this seems to indicate a genuine emotional response. His overall body language is open from his shoulders arms and legs. This is only seen briefly in this set of footage and camera angle, it is seen more in some of the other interviews. With all of this put together I personally think that he is telling the truth as he recalls it. UNLESS he is a MASTER of deceit and has such perfect control of his body language? With all that said this is just my opinion and I am by no means an expert and is also based on a static camera angle. Since this video was removed, many trolls and shills on various internet forums have claimed that Stuart referred to Tia in past tense, as you can see from the video, he did not say he "Loved Tia to bits", he clearly said "Love her to bits". All week the police have in their interviews reported that 60 witnesses seen Tia after she left the house on the Friday. A neighbour even made a full statement to the police that she seen Tia after she left the house. Is all 60 of these people lying? Are they all accomplices of Stuart Hazell? The police and media will now go down a well trodden path, this man will be demonised and he will be tried and convicted by a British public, whipped up into a vengeful state by the press. The death of a child arouses strong emotions in most people, and the press will be sure to fuel that, people’s grief and anger will all be directed at Stuart Hazell, when emotional buttons are pressed, the emotion generated will over-ride logic and distract people from questions they should be asking about this case. Tia went missing on Friday the 3rd of August, Saturday the 4th was the ten year anniversary of the day the two little Soham girls went missing, is it a coincidence that this child was also missing on that date? I could be completely wrong, and it is possible that Stuart Hazell is guilty and did commit this vile crime, the alternative is that the body was planted there by the search team. I know that most people would not even consider the possibility that this could happen, but keep an open mind, three previous searches of the house found no body, then this team, who we were told were brought in from another unnamed area find a body….This just does not add up! Its August, the hottest month of the year, and they want us to believe that this child’s body was decomposing in the heat, with her entire family coming and going from the house! Link Five cases where forensic evidence was either planted or doctored. Many years ago I was at a wake, the deceased was waked for 5 days as opposed to the usual 2/3, this was because of a council strike in the area at that time and burials were effected. Please believe me, after 4 days the smell was through the whole house and there was no hiding it. This was in June, it was warm, but not as warm as it has been this last week. They want us to believe that highly trained sniffer dogs, with a sense of smell 2000 times greater than a human, could not detect a body in the house 5 days after she went missing! Please! At this stage a full confession would not even convince me of this mans guilt, in the Ian Huntley case he maintained his innocence for 3 days, after that they should have released him, instead they had him committed to a mental home, he was tanked up with God knows what, and bingo a full confession. His own state appointed legal team seemed intent on stitching him up. The reason they gave for sending him to the mental home was that he would not answer questions, and seemed confused, If you were accused of a murder you did not commit, you would also seem confused, and how can you answer questions about something you did not do? Even the press reported that at court hearings he was shaking, rocking, dribbling, and did not even recognise his own brother in the court. They have psychotropic drugs which open the mind to suggestion, and can make people admit to just about anything. I honestly cannot say if Ian Huntley was innocent or guilty, but I can say with certainty that his treatment after his arrest was diabolical, previous to his arrest he had never suffered mental health problems, within weeks he was a quivering wreck. 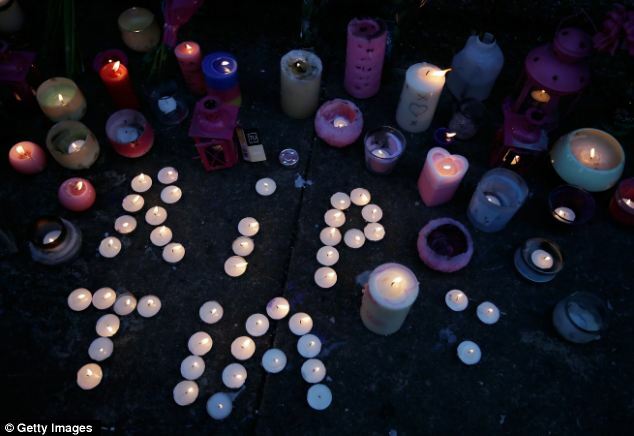 Link An excellent analyses of the Huntley/Carr Trial, by investigative journalist Joe Vialls. (now deceased). Link Joe Vialls report on who the police should have been looking at. After years of researching 9/11, I have no doubts that 9/11 was staged by a global elite who wanted an excuse to invade Afghanistan and Iraq, despite the mountain of evidence that now exists which support it being an inside job, many still believe the official version, that a very sick man (Bin Laden was on kidney dialyses), living in a cave in Afghanistan, planned and executed the whole thing with a lap top and mobile phone! In 2001 mobile signals were notoriously bad, I could not get a signal at my friend’s caravan in Donegal for years, yet he had a perfect signal in a cave in Afghanistan, he also had a perfect internet connection in the said cave, most people still believe this. If these people could plan 9/11, execute it and then have the whole world think the elusive Bin Laden was responsible, then setting up Stuart Hazell would be a doddle! The police will now set about convincing the public, and Tia’s family that Stuart is guilty, what her family must be suffering at this time is beyond our comprehension, their grief and trauma will be made worse, much worse, with having to come to terms with believing that this man who was like a Grandfather to Tia, and they all trusted, actually murdered her! It has today (11/08/12) emerged that the body was found in the attic, the previous search teams had searched the attic, they was no body, then a few days later, bingo, a body! With Stuarts every move being filmed over that week, are we to believe he hid the body, then brought it back to the house a week later? That makes no sense, it is completely illogical! "Hazell appeared to be drunk and was calling out, ‘Have you seen Tia?’. The Police and Press now want us to believe this man killed Tia, if that were the case he is some actor, to get drunk, be able to keep up the charade and put on a show of being a totally distraught Grandfather! Who could do this? If Stuart Hazell is innocent, then who did commit this crime? Who would have control over elements of the police that this could be staged and a patsy set up? There are Satanists operating within the British establishment, they hold positions in the highest echelons of British society, they are in positions where they can easily manipulate the police, the legal and medical professions, and just about every other area of this society. This to them would have been the sacrifice of a virgin, it would have been well planned, a patsy set up in advance and it would have been executed with precision. Let me make it clear, this is of course speculation on my part, and it would be impossible to prove, the influence they wield will ensure this avenue is not even investigated, the patsy has been identified and all the states resources will now go towards convicting him. We will now be bombarded with all sorts of rubbish about this man, I would please urge you all, keep an open mind, those 60 eye witness who seen Tia after she was supposedly murdered, their testimonies will just be scrubbed, they will doubt their own sanity, as the case against Hazell will be presented as a slam dunk. The officers who conducted the first 3 searches of the property and found no body, they will be maligned and discredited, the assassination of their abilities has already begun. As we watch this whole charade unfold, please remember the above facts. This morning (11/08/12), Tia's Grandmother Christine Sharp has been arrested on suspicion of murder, and their next door neighbour Paul Meehan has also been taken into custody on suspicion of assisting an offender. Since Tia's disappearance was first reported, her Grandmother has appeared distraught at the disappearance of her beloved Granddaughter, when Tia chose to go and stay at the home of her Gran and Stuart it would indicate they were close and Tia liked to spend time with them. If people have a job believing Stuart Hazell murdered Tia, they will have extreme difficulty believing that her Gran was also in on it! Link News report on Christine Sharp being arrested. Can I just say in closing, that my very deepest sympathies go to Tia’s family , I cannot start to imagine their grief and pain, from what we have all seen of them this week, they appear to be deeply caring family, who have banded together in unity to find one of their own, I am so deeply saddened that this child did not return safe and well. My sympathies also go to the entire community who have been deeply affected by this child’s death, after relentlessly searching for her; they have been left traumatised and bewildered at her body showing up in the house, when they have spent a week searching the entire area. Like the family, the whole community have been on a week long roller-coaster of emotional hell. I am sure that most people will believe the official version, and I will be chastised for even voicing an alternative, a long time ago I realised that the official version is rarely the true one, most prefer to believe what the authorities tell them, because to question it means admitting that everything they though was real, was in fact an illusion, and it is very difficult for us mere humans to deal with that. I pray that all the Angels in heaven are with the dear departed soul of the beautiful Tia Sharp. NB: Some police reports say that Stuart was arrested in Mordon, others say Merton, I believe he was arrested in Merton, but when quoting from specific news reports I have named the town as they named it. The numerology, dates and even Tia's name and age all add vital clues to this crime. The above screen shot is taken from a SKY news report. Room 101 is the room in Orwells 1984 novel, where all your worst nightmares come true. 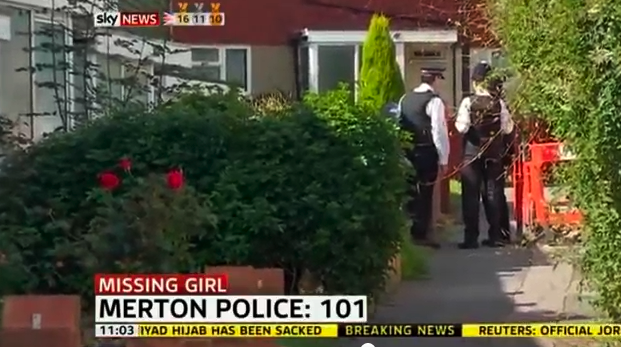 Odd that Merton police should chose this number! Within the numbers posted at the top of the screen is a 9/11 (Inverted 6), their favourite calling card! 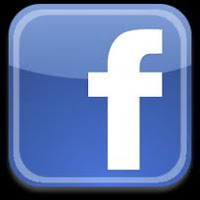 Anyone who follows my blogs will know that I have joined a lot of dots between the London Olympics opening Ritual, The Aurora shootings and other seemingly unconnected things. When they formed this huge "GOSH" (Great Ormond Street Hospital) in the centre of the Olympic stadium, underneath a crying child, I knew there was more to it, I wrecked my head trying to think of well known people with the initials SH. Nine days later and Stuart Hazell is covering the front pages of near every UK newspaper! GO-SH! 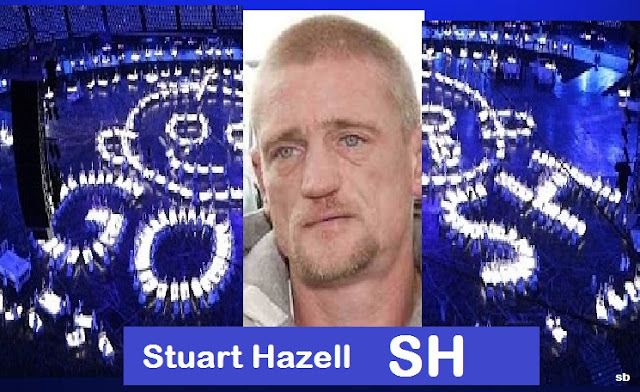 Over the coming months the British press will do all in their power to have Stuart Hazell convicted, they will lie and twist facts to manipulate and influence the public. The following extracts are from today’s Mail On Line, while admitting that pathologists found no “obvious major injuries to her body”, and that they have no clue how she died, the Mail wrapped these facts up with speculation and theories, and the whole thing was presented in such a way as to influence the readers opinion. While presenting the FACT that the pathologists said there was no major injuries on her body, and that they have no clue how she died, they wrapped this with contradictory speculation which is at odds with the facts when analysed. “Detectives suspect the schoolgirl was probably smothered before her body was hidden in the attic." leading to the theory that she was smothered or strangled”. If Tia had been strangled or asphyxiated, there would have been obvious signs that a pathologist would have recognised, the Mail has wrapped what the pathologist said with theories, speculation, and you could say downright lies. While admitting that there was no injuries on Tia’s body they also casually throw in that APPARENTLY her lower body had bruising. Even though this contradicts the pathologists findings, they threw this snippet in any way, no doubt to have the reader believe that Tia was sexually assaulted, when obviously the pathologist has not reported any evidence of this. I have added this update, so as people will know to use discernment when reading the press reports, so often we just skim over newspaper reports and an hour later the speculation has stuck in our heads more than the facts. When you take the time to set aside the facts from the speculation, you will get a more precise understanding of the report. Link Huffington Post, confirming his appointment. "He married his second wife Alison LevittQC in December 2007. She is the Principle Legal advisor to the Director of Public Prosecutions for England and wales". Good Luck Stuart, your going to need it! Link This report by Robert Chesshyre gives a very telling history of the New Adding area, is has been written sympathetically and without bias, which is more than can be said of the Main Stream press reports. I agree that it is unbelievable that a body could be missed after several searches including the one using a cadaver sniffing dog. The main stream media never give details, only soundbites, and I would prefer an explanation of how it is possible to miss a dead body, and then why it takes so long to identify the body and how death occurred. I only have to leave the dogs' dinner bones out for a day to have the most appalling smell! A human body in the warmest time of the year will start to be minging after a few hours! I wonder about the Soham link too - the anniversary - and also about the full moon occurring around the time of Tia's "abduction" and "death". Could this point to a satanic ritual? The lower socio-economic class of the family makes it easy for the public to accept Hazell as the patsy. There are differences with the treatment of the McCanns and the disappearance of Madeleine. Notice the use of a cadaver sniffing dog in that case too. But that's a whole other blog!! We live in interesting times, interesting times. One thing is obvious the current situation is unsustainable. The existence of this blog verifies that the genie is now well and truly out of the bottle. It is only a matter of time now before major developments must occur. I gave it credit until you started on about satanists and planting the body. I'd like to know how they got the body in past the gran, Stuart and the media. Sounds like a wild theory to me, sorry. Besides I'm sure if it was possible (which I doubt) they could have planted the body earlier without making themselves look incompetent. As for why he would make up not listening to Tia is easily explained - to say he wasn't registering her words is far easier than to conoct a whole conversation that didn't exist. Caiitlin, Google "Hollie Greig" and you will see how far this sick rabbit hole goes. Besides. The author is only making their voice heard. Nothing wrong with that. we should respect their efforts to protect other children from abuse. Have you ever seen a house search being conducted? I have, they bring in all kinds of gear, and most is carried in big metal cases, especially a forensics team, they have all kinds of specialist gear. Would you like to tell me how a full forensics search on the 5th, of the house and attic found no body? As the official version currently stands the previous 3 search teams look like idiots. This does not answer what I asked. I wrote a long post answering your questions. They do often bring in big containers but for the most part sky news was live when they entered the house the day the body was found and there were no such containers! I explained in a longer post how it may have been possible to have missed the body during the search. Are you going to approve that comment? http://www.bbc.co.uk/news/uk-19205397 The 3 previous searches the press were allowed to film them going in, this one the press were moved way back before the forensics even arrived, as this BBC report confirms. There are other pics of them on line carrying cases in. The entire row of houses was sealed off, and press were not allowed any where near. As for your previous comments, I have a life you know, this is not my only blog, I also have a you tube channel, do you think I have nothing better to do than debate with you 24/7! I have now answered this question for a second time, one of your lengthy comments I did not publish as you had made an idiot of yourself pretending to be a body language expert after a quick shifty on a body language site, you then realised you had got it wrong and posted another lengthy comment correcting your earlier one. I seen no point in publishing the one where you admitted yourself you had fked up! As it is you have had more comments published than any other poster on this comments section, and your still whining, maybe I should hand the reigns over to you and you can moderate and just publish your own lengthy comments! Why dont you write your own blog if you have so much to say on it! I just saw the GOSH thing and any doubt I had over my initial comment is reaffirmed. You clearly over think things in a huge big way. The police in cahoots of murdering a 12 year old along with those who organised the Olympic display knowing who was going to be framed. You have gone too far for it I be either plausible or credible, I had a good giggle though, so I thank you. I'm off to watch tv with my little green Martian mates lol bye. Spot on! I concur with your thoughts, and those of Joe Vialls on Huntley. Remember the lack of emotion from the parents of Madeleine McCann, they were probabley mind controlled by the Elite. The Holly Greig case is the nearest we'll ever get to exposing these satanic bastards. Hi john, I too was in admiration for the late great Joe Vialls work; particulary on Huntley. When I saw the TV spot with him being questioned, followed by the ridiculous story of the girls drowning in the bath I knew 100% that Huntley was not capable of doing such a thing but at the time, had not the knowledge to track who had. Still, no-one wants to touch that story or care of the terrible miscarriage of justice done to Ian and his partner. Madeleine McCann appears to be linked to SOS Childrens Villages (they have a den in Portugal too)sponsored by FIFA (whose reps were in Portugal at the time)Barclays and other Libor Banksters. Thank you for being another voice in the wilderness of Me-Jah! disinformation and public ignorance. When the story first broke news, there were clues hidden in plain sight; from the contents it was clear to me that Tia's abduction/murder were a foregone conclusion as already 'celebrity stars' were offering support. Triggers within the short piece included: Celebrity surname 'Maffia' telephone number to contact contained: MIS for missing presumably but actually M15. Description of Tia's clothing included: leopard pattern leggings (Kitten programming) Pink (kitten abduction) Nike' (M15) trainers. My post was deleted by Yahoo! The first picture showed her made-up; a 12 year old going on 16. It was all a bit Little Red Riding Hood to me; she left home without her mobile or travel card to see her Granmother; conflicting reports followed; first she had stayed overnight with a friend, then this friend was not mentioned again. It was highly suspicious that the mother was not allowed to speak; instead her partner and Tia's thug-looking 'uncles' were highlighted wearing the T Shirts. The 'stepfather' was quoted as actually saying "I've bathed her and touched her" yeah, I'll bet. The grandmother was not given a platform until a recorded message which could have been anyone was broadcast. It was ludicrous that a search was called so early on as if they were looking for a missing cat, not a dead body, Tia Shirts, candles and all in between 3 searches to the rabbit-hutch home. I know New Addington and used to live in an exact house like this. There is no way a body could be hidden if the police did a thorough search (which I believe they did) the first time. Then returning after the media circus and search was in full swing with 'experts' and again with the dogs who would have picked up the scent of a decomposing body or the slightest whiff of one removed. There is NO way, the body could have been removed and returned by Hazell given the glare of attention on that tiny little place. The police placed the body when they were reported as entering with a stepladder and witnesses (neighbour) has been silenced. The 'stepfather' and 'uncles' have more to do with this, I feel than the innocent Stuart Hazell, who was reported to have been involved with the strangely silent mother before he muscled in; perhaps ousting Tia's protective guardian. Tia was 'special needs' (vaccine damaged) which again calls into question why her 'parents' were so relaxed about allowing her to visit New Addington by herself, without travel card or phone. Did she leave in distress? A very blurred CCTV shot of her wearing 'an animal print' T shirt (a wolf - red riding hood theme)and appearing to be shouting at someone was shown. Another shot was of her sticking out her tongue, covered in blue which I didn't 'get' but she was not looking happy in that, either. As a 'special needs' case, Tia's family would have no choice but to be involved in Social Services and went to a special needs school in Raynes Park where she may have been groomed and 'selected' for special attention by this 'stepfather' and his thugee brothers, removing Stuart from the mother. That you spotted the SH of GOSH at the Olympics fits in with the sacrifices that were, I have no doubt at all, performed in the bull ring and at the Village on TIA and other 'missing' or 'disqualified' competitors. Extract from your own blog William: "Hi I'm will, pull up a chair or bean bag (we don't judge here) and enjoy me ramble on about what I get up to for 365 days accompanied by a photo." Another extract: "Evening all, very wquick one tonight. Today I finally got back home in Deal, ffounf a big long list of jobs to do from my parents and instructions on how not to burn the house down. In my suitcase is a birthday present, it's a secret who it's to so shh! I'm off to watch 'Nightmare before christmas' with a friend. "wquick" and "ffounf", what do those words mean William? Great stuff Sandra, that is EXACTLY how I deal with nasty rrogant trolls too, go for the jugular with hard data and irrefutable facts, LOL! Kudos to you, I am reading all your blogs with great interest - whilst I am a long time paranormal and socio-political researcher, I am also a writer too. When in the zone researching, it is very important to get the main info down whilst it is flowing; it can be tidied up later. It is a great shame Joe Vialls has passed, I devoured all his stuff and he would politely reply to my emails. Some of his stuff was a little out there, even for me, LOL, but IMHO he was on the button most of the time, with Huntley, Lockerbie, mini nukes at Bali etc, I woul urge everyone to read his work as it stands the test of time! All best Sandra! Keep up the brilliant work! Thanks Anders, I am dyslexic, so putting things in the written word takes me much longer than it does others. I am also Irish, and I often write as I speak, the Irish have their own way of phrasing things. Many of my blogs have months of research go into them, ones like the Hazell blog had to be researched and published quickly, to try and counteract the mass brain washing that the press will now embark. I've not read all of Joe's stuff, but from what I have read it does stand the test of time. I believe he died suddenly while researching 7/7! Hi again, I am Irish too, actually Londom Itish but apparently conceived in Dublin when my dad went home once a year to see the wife and little ones. So I hugely enjoy reading your blogs because they remind me of Ireland and their way of saying and SEEING things - it's like a breath of fresh air so don't change a thing. As regards JV, he was always going to have enemies - I sent my condolences to the family and it was all a bit mysterious. I believe he worked on Intel at some time and was privby to insider stuff vis his contacts. As for this case it has IMHO all the hallmarks of a Tavistock/MI5 production, today he was on video link, do there tame psycho chiatrists will no doubt be pumping him full of all sorts of drugs to scramble his mind, just like Huntley and 1000s more the world over - he is the patsy, a weak character, a bit like Huntley IMHO. They say the victim was in a plastic bag under a blanket - there is simply no way in a tiny loft experts could miss that bundle / cadaverine odour starts seeping put aftet 2.5 hours and would get stronger as the hot days passed by, it was sweltering. Another useful aspect to this is that it will be a constant distraction for weeks and months, we have yet to see this DEFINIMG MENT for London as prided by a g4s insider. I just hope they dont get to give Stuart the psychotropic drugs, he will be confessing to everything from Hiroshima to Lord Lucan disappearing if they do, just like Huntley. Yes those psychotropics are deadly. Think back to mi5 whistelblower David Shayler, to Frank Bruno after being photographed in a Masonic handshake at Broadmoor with the Yorkshire ripper, with a disgusted Jimm Sa Vile looking on - both me went mental, as did Icke at one time. Alas I am not able to cut and paste it here? Question everything, dismiss nothing. Things are not as they appear. We are regularly deceived and manipulated. Yes this whole event does not make sence I do not believe the official version of this at all. Why if you believe your own theory did you not approve my previous comments is it because you have no explanation? Just goes to show how full of hot air you really are! If you have a comment on the content of the blog submit it, personal attacks on me are not deemed relevant and go in the spam folder along with the other troll and shill rubbish. Comments that are abusive rude and insulting go in the spam folder. It is because Tia deserves justice that I took the time to write this. She clearly liked spending time with her Gran and Stuart or she would not have chose to go and stay there. I do not believe that Stuart or her Gran had anything to do with her death, and I feel that Tia would want the real culprits punished, not two people that she clearly loved.Your previous comments were not put in the spam because they were questions I could not answer, they were put in the spam because they were offensive and rude. 60 eyewitness seen her after she left the house on the Friday, 3 police searches of the house found no body, the search on August 5 was by highly trained forensic officers, they searched that attic at that time, would you care to give us your theory as to why these highly trained individuals could find no body in a very small attic? My parents attic is small but you wouldn't find 10 bodies in there. You can't even physically get into the loft as the items are stacked so high and close to the entrance. Unless you obtain a picture of the loft with all the items in place as they were and hear reasons from the police as to why they think they couldn't find a body in the first place then this is all just assumptions. In my parents loft I can think of a couple of places to put a body and contain the smell. Was Tia's body found in one piece or was she mutilated? That would make her even easier to hide. The bottom line is conspiracy theorists always say the media is corrupt and their stuff printed is inaccurate or corrupt but conspiracy theorists are even worse. They question everything in the media and publish content online all day as facts. Despite the fact that there are a team of policeman that would likely be able to provide a good explanation for all your questions. At the end of the day I could question everything I see on TV and in media but that would be pointless. I have so many problems I don't care about conspiracy theorists and would rather believe what the media tells us about Tia, 9/11, Princess Diana, 7/7 etc. In the end they are more likely to be right than what the conspiracy theorists suggest to us as they always tend to be very far fetched. PS - I'm not suggesting I have placed any bodies in my parents loft. Daniel, as mentioned the attic of the house was very small, it would not matter how much junk was in a small place, trained forensic officers should have found it. The body was not mutilated, in fact the pathologist report has not been able to determine the cause of death as there was no marks on her body. To date the police have not given satisfactory explanations, the official line is that the body was there when the other searches took place, they just failed to find it! This is an insult to the highly trained forensic officers who searched the attic on the fifth. Sorry, but are you for real? Do you really believe he is innocent? If he is innocent then why is he charged? Obviously he got arrested and ammitted to something! And as for that interview.. you clearly didn't listen well enough. Why is he the ONLY person to speak about Tia in a PAST tense? and why tell in SO MUCH DETAIL about the cleaning of the house? if you were just doing housework then you say you were doing housework! And why tell people you and your girlfriend went and searched the fairground and you spoke to security at the fair to see if you could go in for free to search for Tia, only for the security to tell the police that NO ONE CAME TO LOOK FOR HER!?! And he said from the very begining that he was the last person to see her alive! Hmm.. how would you know if she was dead or alive if you never killed her!? If my son went missing and I believed he was alive I wouldn't talk about him in a past tense and I would never say I was the last person to see him alive.. And really if she had left the house she would have been caught on CCTV, but oh wait, there wasn't anything of her on CCTV!! You my friend are a complete idiot if you believe him, I live in the area Tia went missing so I know how much CCTV there is around here and I know how it's affected people around here. And reading this, I can assure you that you have really and truely p*ssed ALOT of people off! You don't know all the facts yourself so how can you say he's innocent? HE COCKED HIS STORY UP FROM THE BEGINING! FACE THE FACTS HE IS A MURDERING PIECE OF SH*T! He admitted to nothing, he has maintained he is innocent, did you even read the blog? How can you account for the 60 eye witness who say they seen Tia after she was apparently murdered? How do you account for 3 searches of the house finding no body? How do you account for highly trained forensic officers searching the attic on August 5 and there being no body? At least read the blog before you venture to comment again. Dear Sandra - you have obviously hit a raw nerve as there seems to be a rash of abusive shills and trolls coming out of the woodwork. These "commenters" do not appear to be long-standing, appreciative readers of your blog so they must be working for someone who is keen to shut down alternative/informed observations of what is really going on. It's good to show their comments as it proves to the rest of us how much is riding on the official pantomine, er sorry, version. People should keep making connections with the McCann case because so much was hidden about the McCanns including Gerry McCanns name being on a child offenders register and his best friend who was with him in Portugal who was witnessed making lewd remarks about Madeleine - but we haven't seen either of those subject to a trial by media. There are too many unanswered questions about Tia's murder and the investigation has too quickly identified the murder suspect. All Tia's relations and friends are suspect including those people at her special needs school - see Hollie Greig case for details! As for Leanne Scoones who says that if someone is charged then they must be guilty then she needs to look at proven miscarriages of justice in the past. Someone is charged because the CPS says they can be, the burden of proof now rests with a jury trial. This does not mean that the CPS is infallible, they are part of the system, and as we have seen with the Hollie Greig case the Procurator Fiscal at the time (scottish version of the CPS) has been shown to be corrupt. Thank you Bag Lady, this blog has had 10,000 hits in 3 days, there has only been a handful of "Troll" comments. They are pretty easy to spot, anon profiles, many only created for the sole purpose of commenting on this blog, if you click on Catlins profile you will find a typical troll profile, joined blogger even though she never wrote a blog, and no details on her profile. I looked into the McCann case some time ago, its absolutely diabolical that they got away with whatever they done given the weight of evidence against them, but it seems they have friends in high places! An Irish couple testified that they seen Gerry McCann carrying Maddie after she had apparently disappeared, they were ordered to go home and keep their mouths shut, they did not, they let it be known through many outlets, still their testimony was ignored. Then the dogs evidence was just ignored, that on its own should have been enough to convict them, people have been convicted on less. Would you believe kate Mccann is now a spokesperson for missing children, it beggars belief! Did we watch the same interview! He had someone sitting to his left and right, so obviously he looked at both, he made good eye contact with both, and when he looked down it was using his body, ie shoulders and head. Given that I have included an analyses from someone qualified to read body language, your analyses is irrelevant. In the long number of comments you have attempted to leave on this thread, you contradict your own analyses, first of all saying that looking to the left does not indicate he is trying to recall a past event, then correcting this after no doubt checking with a body language web site. As for your licking his lips comment, this is ridiculous! Anyone suffering severe angst or trauma suffers from a dry mouth, this is no indication of lying! I have had times in my life when I suffered trauma and annoyance, a dry mouth is indicative of this. If you are going to attempt to spam the comments section of this blog, at least make an iota of effort to get your facts straight. I was hospitalized with a severe illness many years ago, I remember that for weeks my mouth was very dry, I even had a salty taste, I told the Doctors and nurses about it, and it was explained to me at length about how the body copes with stress, and how the body salts/chemistry causes this effect when stressed. "She may have snuck Off", "she may have snuck" out, irrelevant, he is theorizing, he has no clue what happened or where she went, and he is trying to make sense of it, the apparent contradiction you point to is not a contradiction, they both mean the same thing. 'Caitlin' If you believe that a TV camera takes & then transmits 'mirrored' images then you are clearly very ignorant... his left does not become his right, that's not how TV cameras work! I remember reading Joe Vialls all those years ago and I'd say that you Sandra would be a great choice to fill his shoes, I've been investigating these types of crime for more than 10 years now & I think your work is I simply cannot buy the incredulity of the body not being found until search number 4, not if we're to believe the body was always there! The apparent conditions in that loft space don't even bear thinking about either...it's a 'logic bomb' the whole debacle. On top of that I simply do not trust the authorities when it comes to this type of crime...Huntley, Hamilton, the McCann's, Holly Grieg etc. First of all I want to say I respect the work you have put into this blog and the time and energy you have spent thinking about this. I admire any kind of passion in a person especially in search of the truth. Although I find some of your points interesting I feel you go a bit too far. I feel there are simpler explanations to some of your questions and some big holes in your theories that dont make sense. I will mention a few. Firstly, even if 60 people did claim sightings of Tia this does prove Stuart Hazells innocence. Is it not possible she could have gone out and come back to the house between 12 and 6pm, the time she was reported missing? 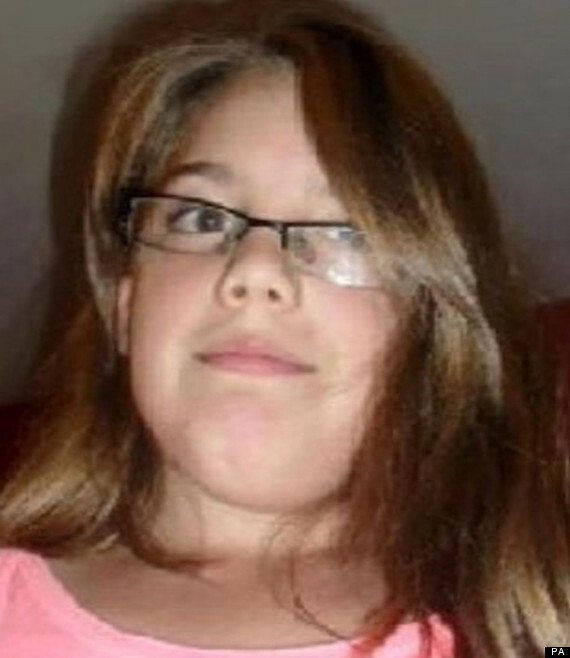 We all know Tias face very well after seeing it in the papers over the last few days and feel we could not mistake seeing her but sadly she does look similiar to alot of girls her age, everyone wants to help, even I did a double take a couple of times, hundreds of miles away thinking is that that missing girl? Mistakes can be made in the passion of wanting to help. I also think a simple explanation for SH saying he wasnt listening to Tia could have been because its easier than fabricating a whole story about what she said. Its much easier NOT to be caught out on a lie by saying as little as possible as regards to important facts. I saw that interview and noticed how he stuck firmly to discussing the trivial ie she never cleared her dishes away, she always left her phone on charger, played games on her phone and let the battery would run out etc ect I'm sure he wasnt lying about these things, thats why he stuck to them. Is it possible this is the truth you are reading? Also I dont think the pictures of Stuart Hazell in the press have been set to influence us. He looks like a tired and distraught, sad man to me, big blue watery eyes, the kind you'd feel sorry for. Perhaps thats why Tias mother & Grandmother fell for him even though he has a criminal record, no one can make that up. Tias maternal grandad spoke about SHs relationship with his daughter and his ex wife, yeah he could be lying but why? If murderers and rapists went around looking like murderers and rapists Sandra, no one would be murdered or raped. I personally think Tias grandmother has been given the worst press face and I'm sure lucozade are not so happy with the free advertising. I'm sorry but the GO SH thing just seems silly but I guess you can prove anything if you have the passion to do so. So you believe right at the beginning of the planning of the Olympic ceremony (18 months ago approx) this whole GOSH part of the ceremony was set up so we'd subliminally accuse Stuart Hazzel?? Thats alot of money and energy to get one message across. I know you feel this is all down to satanic groups, the police, the big guys in control but why would they do this right bang in the middle of the Olympics??? For what reason? Is that purely to do with the moon and numerolgy?? I hope you give my comments and questions the same time and respect I've given your blog and publish it. I'm open to listen but have to say the line in your blog that worries me the most is you comment basically saying that even if he is proven gulity you wont believe it. That worries me, that someone is so convinced they are right they cant see anything else. is this not some kind of brainwashing on a personal level? Stuart Hazell does not have to be a great actor to come across as a distraught grandfather. On many levels I'm sure he truthfully is distraught but whose to know whether its purely the loss of Tia he's distraught about, his part in the loss of Tia or BOTH! Your explanation about the 60 people who seen Tia is a little incredulous, at no time have the police insinuated that it was possible that Tia left the house on the 3rd and then returned. Some of those eye witnesses were neighbours who knew Tia, not random strangers. Have you also contacted the main stream press and expressed concern about their reporting of the case? where they have threw in key words, speculation and down right lies, all designed to rile up the lynch mob? As for Stuart re-capping the trivia, he re-capped what happen that Friday morning as he remembered it, the interviewer requested he do this. Its hardly his fault if his Friday morning had nothing real exciting going on, like most people they done mundane things, the kind of things we all do daily, charge the phone, hoover the house etc. The interviewer is an expert criminologist called Mark Williams Thomas, at the time, nor since has he expressed any concern that he felt Stuart was guilty of any wrong doing. Given that Tia never returned to the house, Stuart Im sure has wrecked his head since recalling every detail. My Mum died suddenly 2 years ago, I had spent the previous day with her, I spent months re-capping every detail of our last hours together, even though I was not required to do so, I did not have police and the National press on my back. This happens all the time, 60 witnesses are disregarded as they are usually all lying! WTF! Read your own comments before posting, they sound ridiculous! As for the Maddie McCann case there is no comparison, one of Tony Blairs top men was assigned to keeping her parents safe from prosecution, it serves them to have the public still believe the child is alive, so now and again they dig up anon witnesses from the far flung corners of the world. An Irish couple seen Gerry carrying Maddie right after she was apparently abducted, they were told to go home and keep their mouths shut, to this day they swear they seen him. Their testimony when added to the other incriminating evidence against the McCanns could have seen them prosecuted, as I said, when they want to ignore witness testimonies, they discredit the witness. 60 witness cannot be wrote off as people keen to help, attention seekers or liars. As an aside has anyone noticed the names of the roads close to where Tia Sharp lived? King Henry's Drive, Queen Elizabeth's Drive? I wonder if Prince Harry is being groomed to become the next king? Believe me Happy, I have a considerable amount of dots on this one. I had already noticed that New adding was on the Zero meridian, the same as the O2 and Stadium. I had not yet studied the street map, but the royal names of the adjoining streets are very relevant to numerous other dots. ie Stuart Hazell, House of Stuart, and Hazell, a very ancient mystical magical tree, wizards wands are made out of Hazel, and the Druids revered it and believed it held knowledge. Prince Harrys real name is of course Henry, and Tias younger brother is called Harry. Im from n. Ireland, this last 3 years we have had a case on the front pages, a woman called HAZEL STEWART murdered her husband and her boyfriends wife. the crime happened years ago, but her and the boyfriend were only caught a few years ago. This case has made constant headlines here for years, she is now serving 18 years, then her reversed name hits the headlines again in connection with a murder! Plus if you invert the "P", you get SHARD. The oldest known "Tia" was an Egyptian Princess, Sister of Ramesses II, and granddaughter of Ramesses I. Your observations on the names suggest that this was all planned a long time ago - is there something going on here that is beyond humans' comprehension? The modern 'story' seems to have started with the beheading of Anne Boleyn? - the first modern 'false flag'? My Olympic/Aurora/Royal research all very bizarrely connects. Key names and words echo through every report, I cannot quite figure it out, its almost as if they give you a story within a story and need people with certain names for their hidden story. William, Harry and Kate all descend from Elizabeth Knollys, who was first cousin (possibly full cousin) to Queen Elizabeth I. It is unlikely that Kate does descend from her, but the Brit press want us to believe she descends from them, available on line are two very different accounts of her genealogy, and a REAL genealogist has vehemently disputed that she descended from Elizabeth Knollys. Prince Harry's real name is Henry, King Henry was never supposed to be King, he only became King when his older brother died young. Should Harry become King, he will be the first King Henry since Henry VIII. Thanks for that update - for newbies to all this, now you can watch it all unfold in REALTIME as it were. As Sandra says, you need discernment / after a while, if you put your homework knowledge into practice, you will be able to see through alll the media lies, and the tactics they employ. In fact they are in many respects getting very lazy and rather boring, because what they always do, robotically, is employ the same ruses and hoodwinks the have done for thousands of years. IMHO Tia was a sacrifice, bearing in mind the timing (Sotham ten year anniversary, multiple use of 8s, and much more), but Stuart (notice the name, Stuart, the real pretenders to the throne - thus demonised) was carefully selected, the whole shebang was, and Stuart is the ritual pharmakos, just like Huntley and that Libyan cancer victim who had nothing to do with Lockerbie. You'll notice how the Mail is demonising him. Two paragraph openings spring out - "tattooed" and "unemployed" - scroll down to the photos and they show two almost identikit fathers to Tia - the real one, tattoo on neck, rather ugly IMHO, buzz cut, and the current one, same haircut, identikit yobbo the grail wants to plant in your mind. Tattooed and unemployed...my goodness, he must have killed her, you know what those tattooed unemployed people are like, cold blooded killers the lot! I jest of course, but astonishingly there are those who will think this is an indication that he is guilty! Did you notice that TIA spelt backwards gives a phonetic 8...as in b(ait)? For whatever reason the media decided that 8 would be a 'switch-hitting' number in relation to this event. Add that to Stuart Hazell/Hazel Stewart like phenomena. Did you notice that on the 13th Aug the Mars Curiosity rover was headed for a formation known as Mount SHARP, as if we're meant to find it and appreciate the irony. I'm more than aware (as no doubt you are) that TPTB infuse macabre humour within their crimes...Michael A Hoffman has written extensively about this. Yeah there's the 'druidic wood' connection through Hazell (and Linden too...genus TILIA!) and the Stuart bloodline...William being the half-blood Prince, the Stuart line aspect coming from Diana, who they sacrificed on the 109th anniversary of the first Jack The Ripper killing (masonic ceremonial murders). Remember at the end of the Olympic closing ceremony (aka a giant masonic fest)they segued the tail end into a new series 'Ripper Street' tagged "as the sun sets on the Olympics, darkness rises" all aboout Jack The Ripper (remember there is a royal connection to those events too, Duke of Clarence etc). I did notice the early reference to TIA of the Egyptians too and apparently in that aspect she was connected to 'singing' and in the press I noticed that it was mentioned that Tia (Sharp) enjoyed singing. The coincidence of the dates converging on the anniversary of Soham and the Jubilee and also on a day dubbed by the UK media as 'super satur(n)day' (4th aug)...well I find this intriguing, to say the least. Personally I think all those folk who were expecting an armageddon like false-flag at the games (because there were many), completely missed the boat on what the real fix was!!! I'm with Anders...I think this was a child sacrifice and I think the body was planted by the team from outside who did the 4th search. This is very interesting - glad someone is cutting through the demonisation and stories and theories put out by "sources". It stinks to high heaven. Think Kelly, D.
Funny that these "sources" couldn't have said days ago that the body could only be id'd by dental records due to decomposition. PM showed no cause of death - but the accused can order another - what, to find a cause of death?? Something very very wrong here. And because the media is not signalling it, I think it even more. Great research. Criminal record (for drugs)? Irrelevant. Patsy - key word in this discussion. Yes, thanks everyone for pooling knowledge, occult and born of our rxtensive research, it is the only way to beat them. I wrote about Hoffman's King Kill 33 Kennedy theories in my fictional novel. They DO operate by Revelation of the Method. I've read lots of Hoffman on the net, and his books are essential reading. I've been following the Maddie M psychodrama for years (RIP), read all the books and been banned from ALL the MM forums - clearly, each and every one has been infiltrated, up to mod and even owner level, by establishment gatekeepers. You would think that those on the main MM web site would be wise, and clued up to the dark side establishment tricks - but NOOO, the fine posters at the site below are carrying out the most incredible lynching of Stuart Hazel, an abhorrent display of snobbery and class/crass ignorance, supervised bu a very effective attack dog who silences anything to do with the kind pf things talked about for example on this blog site. After reading 88 pages of Ill-informed rubbish I could take no more and registered to say my piece. Of course I was mocked and ridiculed by the clique there, and if these rabble are Maddie's representatives for justice, then I fear she had no chance. Google jillhavern forum missing Tia Sharp - page 88 onwards. Hey! Notice two mores 8s, lol! As regards the case, Carlile is married to the chief legal advisor to the DPP, Alison Levitt QC. Nope, they are simply ensuring the Revelation of the Method psychodrama plays out as designed. Great stuff everyone! On 4th August 2002 (exactly 10yrs prior & Queen Mother's birthdate) the Commonwealth Games closing ceremony was held in Manchester, a Goddess festival concluded in Glastonbury and Roy Whiting (convicted of Sarah Payne's murder, Whiting is a fish, perhaps a red herring!) was slashed with a razor by another prisoner in Wakefield Prison. That same evening two little girls called HOLLY Wells and Jessica Chapman vanished from the village of Soham in Cambridgeshire. This occurred 777 days (111 weeks) after Sarah Payne was taken from Kingston GORSE, 1st July 2000, which signalled the start of a new moon, there was even a partial solar eclipse (south america) on this day around the time of her disappearance. The Olympics were handed to GB on the eve of 7/7/2005 (so called terror attacks)or 7/7/7(2+5). August 4th is the 216th day (2160 years = constellations cycle)of the year and as well as being the birthdate of Queen Mum, it's also the birthdate of Obama the 44th president. This time period would roughly cover the 'dog days' (influence of sirius)circa July 3-August 11. (the exact time span for 'dog days' varies) In summer the star sirius (Isis) rises & sets with the sun, hence the stories of its influence (malign or otherwise)during 'sweltering heat' and with the Egyptians it coincided (helical rising) with the flooding of the Nile delta or iow fertility. This how the phoenix/bennu (bennu/ben ben) gets related to both the Sun & Sirius and the death/rebirth aspect, there is a 70 day apsect where sirius is not visible above the horizon (horus risen/horizon...70 days death of Osiris/Orion in the underworld). The phoenix can also relate to the sothic cycle, the phoenix life span being 1461 years(according to some scholars) 1461 years is the span of the Egyptian sothic cycle, the basis or their stable calendar. We saw the phoenix (sirius/transmutation & rebirth) rise up out of the 'cauldron' on the 12th August (end of dog days) during the Olympic closing ceremony...we actually had the BBC superimpose the phoenix and rising it against a pyramid (lighting rig)in the background, hell they even built a pyramid like structure on the stage! The US great seal is not much more than a phoenix (rendered as an eagle)on one side and the pyramid & eye on the other. Some cultures even sacrificed dogs to apease Sirius on the first day of the 'dog days'...Sirius Black (Harry Potter)was in one installment featured as a german shepherd in his animal form and there seems to be a major connection with Sirius & German Shepherds...a dog just like the one picture earlier in this article. Death/re-birth, rising/setting/dawn etc...seems someone's trying to intimate a cycle of sorts! Ok...I picked up on another interesting 'synchronicity' (in the Jungian sense) regarding 4th AUGUST, DAWN & DEATH...and that is the still-birth of Gary Barlow's child, which occurred on this same day...his partner being called DAWN. I mention this only in the form of 'synchronicity' and not as a devious calculated plan etc...just so you understand, but it's strange nonetheless. Great work sandra , this is stuff is very weird. The fact that they were in the house searching not once but a few times just begs alot of serious questions, how could they have missed the body ? I mean the only logical explanation is that the body was not there during the previous searches. Crazy times Sandra keep up the good fight!! Just wondering aswell Sandra, the media seems to have completely gone quite on this story aswell, this could be nothing but i think this is a bit strange too, maybe trying to get the story out of the public's minds, the Aurora shootings also has disappeared from public view, and i believe apart from the first court appearance all further court appearances will be behind closed doors. Could be nothing but a little strange. 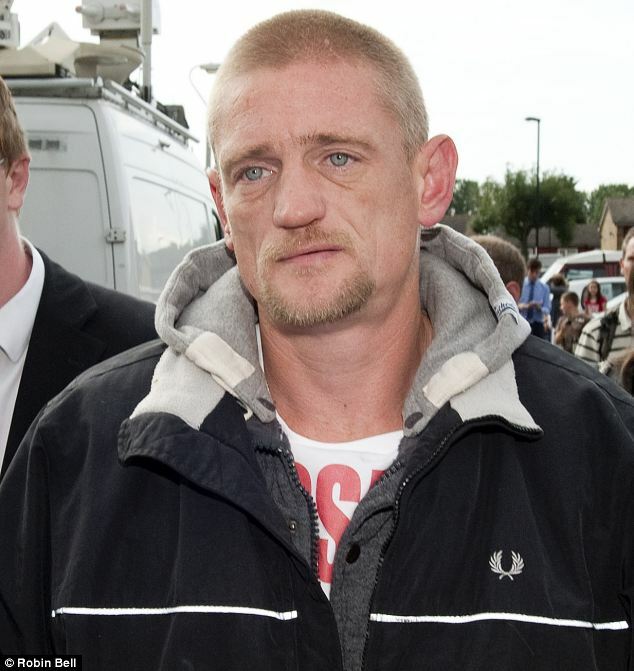 Stuart's drug conviction was ten years ago, by all accounts he has been clean since, and there has been no suggestion that he was still on drugs. He appears very fit and healthy, there is nothing to indicate he was still using drugs. It should be remembered that in the JFK murder Oswald was tested as negative in a Parafin test less than an hour after supposedly shooting Police Officer Tippets and JFK with multiple gun shots. It is NOT possible to remove all trace of gunpowder residue from your skin and your clothing yet he supposedly did.Another point is that the rifle left behind in the Texas Schoolbook Depository was tested for finger prints by the FBI and NOT a trace was found yet upon its return to Dallas PD a full size palm print from Oswald was discovered on the stock,clear and unsmudged. At the time this was "discovered" Oswalds DEAD body was in the police morgue downstairs! Body language is a form of communication where a person’s mannerisms and composure communicates emotion and thoughts. The human body and its ability to communicate contain a vast amount of information ranging from a person’s confidence level to their interest in a person sexually. 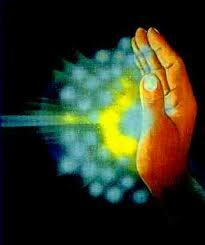 The roots of this tool come from built in instincts and human tribal experience. The photograph that was taken of Tia after she had been murdered must hold a vital clue. Was it taken on Hazell's camera and when was it taken? If it was taken in the child's home was it possible for Hazell to have been alone there at the time, or was it during the period when the search teams claimed to be unable to find her in the house. I also think it's strange they pulled the house down so rapidly. Understandable in a way, but in another why would they make relevant forensic information disappear when there are still so many loose ends in this case. In a way I hope the guy would be guilty as the thought of what they are doing to him otherwise is so hard to contemplate.. I have read this blog post with interest, after the mention in the YouTube video of Tia Sharp possibly having been murdered by the 'Illuminati' as part of the satanic ritual of the 2012 Olympics Closing ceremony (which certainly appears to have SOME satanic aspect and narrative, without doubt). It certainly seems like something is not altogether convincing about the official account of events - especially those 4 searches. I have got to the stage that I can believe there is SOME possible truth in these seemingly fantastical claims. That is because of what I have learned about this so-called 'Illuminati' group from my own researches, and from the obvious and truly excellent source of David Icke. However just one thing is bothering me with this case - if the Illuminati really did sacrifice this girl as part of a satanic ceremony, then why would they go to the trouble of faking finding her body at her grandmother's home, and implicating her step-grandfather for the murder. I can believe the Illuminati via MI6 and so on COULD carry out the fake search and the fake post-mortem - there needn't actually have been any body there at all - they are so powerful they have COMPLETE command over the judiciary and the police. But why would they bother doing this? After all they could easily dispose of a body in such a way that no-one could ever find it, for example using one of their private crematoria. It thus occurred to me they might have WANTED the alternative researchers out there, if not the 'mainstream media', to discover what they had done - they are almost playing a game with us? And would it have been them who instigated the demolition of the house? - again why would they do that - maybe to eradicate any possible evidence of the cover-up? So on the one hand they WANT us to find out, BUT on the other they want to keep that knowledge from 'official channels'. I am trying to find some kind of narrative that explains their motivations and methods - but its confusing - any comments of yours I would be grateful - I appreciate the information in your blog post. Incredible research and insight, Sandra. Thank you for posting the link (2013) that reports Stuart Hazell was "fitted-up". I totally agree. Something here stinks to high-heaven, for sure. I think Tia did leave the house when Stuart Hazell said, was seen by the neighbour and by many witnesses. Was she forced into vehicle? Or persuaded to go in one? Was she really killed in nearby Birchwood, out of sight? The police couldn't have a scenario that matched the Soham murders, so instead planted the body on the search before she was found. No body was there before. I don't believe Stuart Hazell has anything to do with her death. He has been demonised to influence us. Has Stuart Hazell been "forced" to keep his mouth shut? Hence only pleading guilty as the very last minute. Poor Tia deserves justice. Incredible research and insight, Sandra. 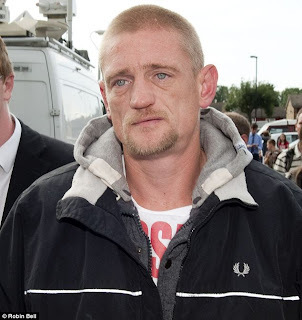 Thank you for posting the link (2013) that reports Stuart Hazell was "fitted-up". I totally agree something here stinks to high-heaven. I think Tia did leave the house when Stuart Hazell said, was seen by the neighbour and by many witnesses. Was she forced into a vehicle? Or persuaded to go in one not long after she left the house? Was she really killed in nearby Birchwood, out of sight? The police couldn't have a scenario that matched the Soham murders, so instead planted the body on the search before she was found. I don't believe Stuart Hazell has anything to do with her death. He has been demonised to influence us. Has Stuart Hazell been "forced" to keep his mouth shut on what really took place? Poor Tia deserves justice.